Do your students have questions about their wood bending projects? 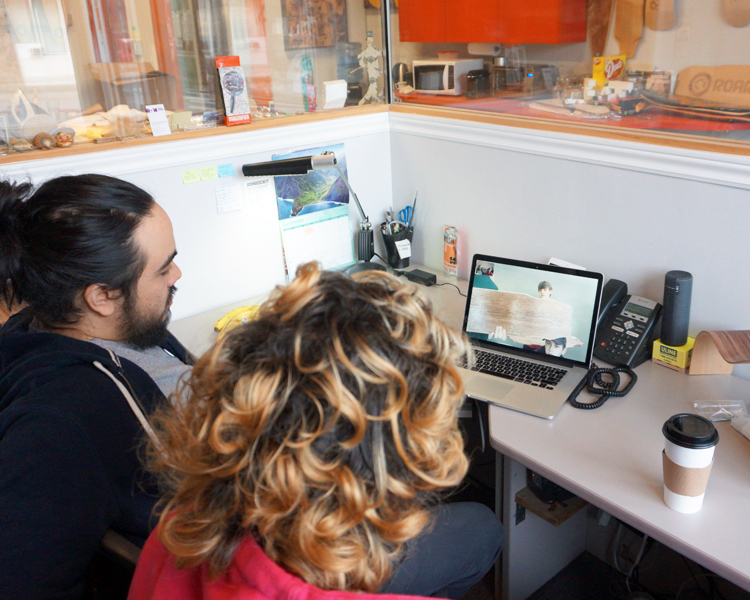 Sometimes a short video call with our team can help! We can provide inspiration by discussing their ideas. If there are technical issues, we can help sort those out. Sharing our knowledge and experience is part of our commitment to empowering young people and we are happy to spend time doing that. This is a free service to the educational community! Sessions can be up to one hour long. Please prepare and email us an agenda prior to setting up a video session. We will gather examples and resources beforehand so that we can best respond to the questions and topics. Before the session, a test video call will be required to ensure our technologies will work! We can use FaceTime, What'sApp and Skype. Please contact Norah at Roarockit to set up a video session. Describe what your students would like to discuss so that we can gather samples to show on camera to best answer the question.